This package contains one 6" x 6" box. The sturdy back hinges and front latch keep the lid closed and contents safe. 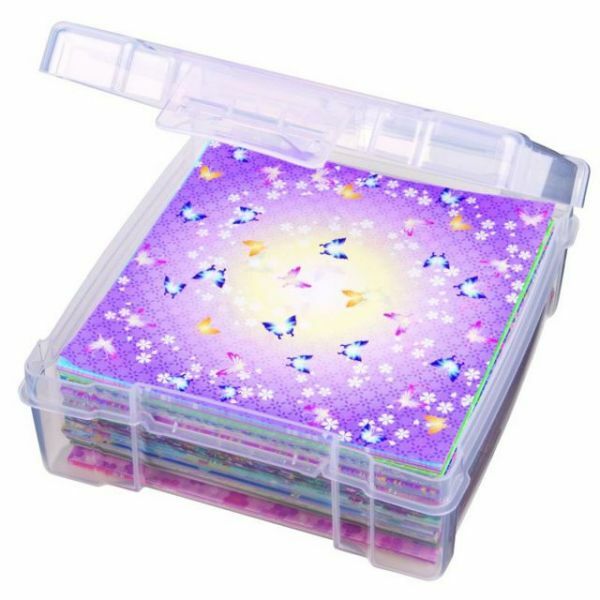 Great for 6" x 6" cardstock, origami paper and supplies. 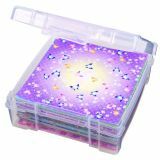 Also handy for fat quarters, pre-cuts and small sewing supplies. 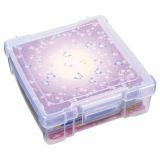 ArtBin Essentials Translucent Box - This is the perfect place to store small sheets of paper or other craft items. This package contains one 6x6 inch box. Made in USA.